Good news to all my friends who love to eat strawberries. 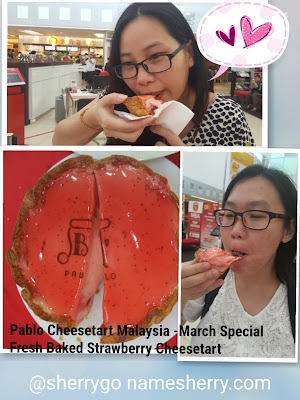 This month of March, PABLO Cheesetart Malaysia has got all about Strawberries. Yummylicious of Strawberries doesn't come in one but three. It's happening this month March to April, this tempting seasonal product only until 30 April 2017 let's find out what it is. With limited amount quantity and period of this flavor. 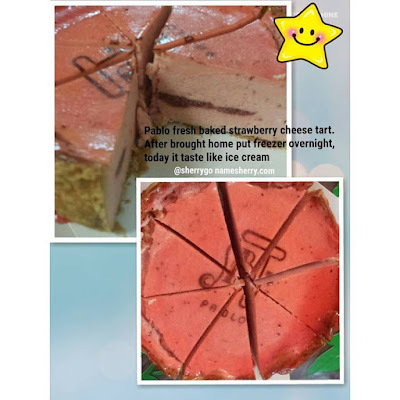 Pablo Freshly Baked Strawberry Cheese Tart a refreshing pinkish light coloured cheese tart with the combination of their light fluffy inner texture with the gorgeous scent of strawberry and tangy strawberry sauce that brings you the joy of sweetness and happiness. No kidding just looks at above photos where Grace and Kathy happily having the slice of Pablo Freshly Baked Strawberry Cheese Tart. It taste so good, you can also can put in freezer and overnight it for ice cream cheese Strawberry. No kidding this is what I do, I brought home and put in freezer and next day cut it into 8 pieces. We enjoyed it at every bite. My son told me I owed him a birthday cake, this yummylicious Pablo Freshly Baked Strawberry Cheese Tart transformed into ice cream cake overnight he loves it. You can view the instavideo of cutting the it, click on the link to view it. 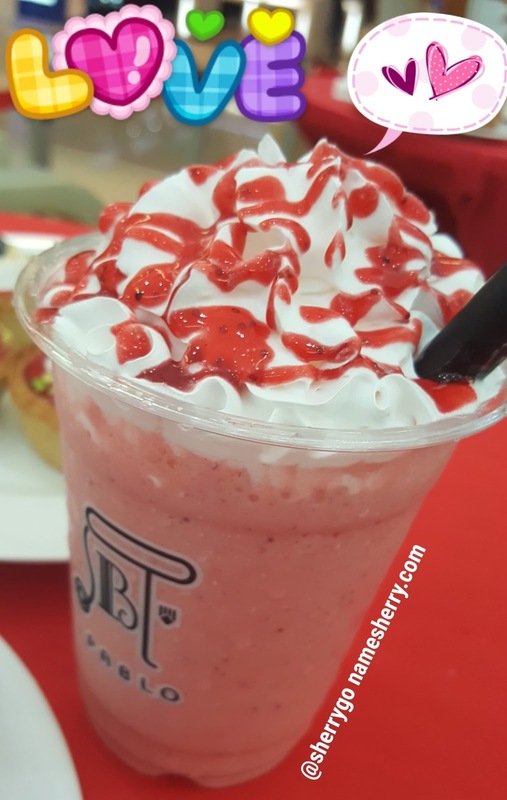 Strawberry Frute is a must have if you like to strawberries. 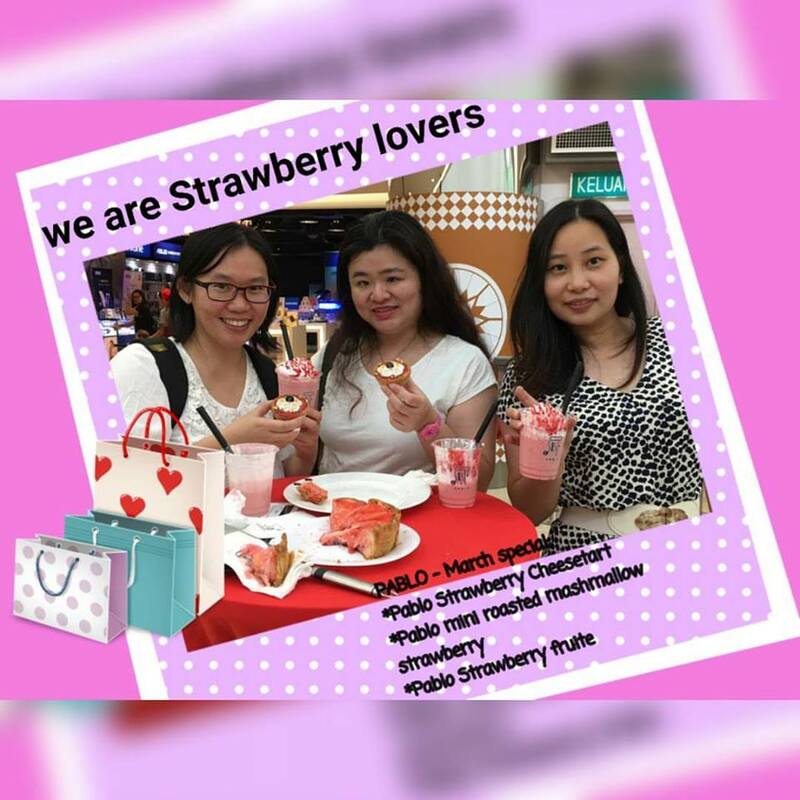 It's a refreshing sweet sourish taste of strawberry which added in their menu on 14 March 2017 until 30 June 2017. Enjoy this creamy strawberry smoothie infused with generously with strawberry filling. I loving it so much that I can have not just one but two of it. Besides, it's appetising taste from strawberry and fresh cream cheese brings out the freshness of zesty taste! 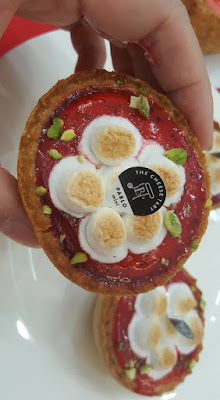 Pablo Mini - Roasted Marshmallow Strawberry was introduce on 1st March 2017, it will continue up to 14 April 2017 as a seasonal product. On top of the cheese tart has the sprinkle of pistascho ribs to enhance the entire texture and aroma. It's yummy with their original Pablo Mini, cheesy warm soft filling inside topped with a glaze of strawberry sauce on surface. I have snapped more photos on my Facebook Page, click on it to view. Please follow me on social media too instagram/twitter @sherrygo, Thank you. 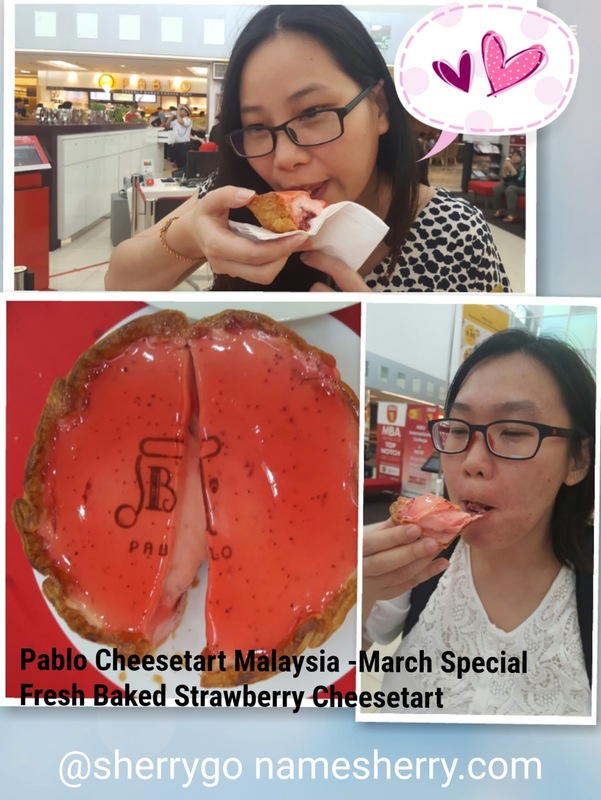 Don't just read here, you can also follow the updates and promotions of Pablo Cheesetart Malaysia on Facebook, click on the link. 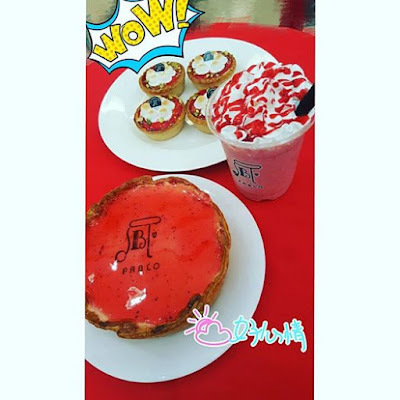 Wah I want to taste that strawberry fuerte. The Pablo mini also looks delicious! Oh my, they now have it in strawberry? I need to try it! I love their original flavour. Im sure this is going it be yummy too!